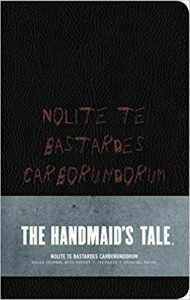 A new book about the making of The Handmaid’s Tale is set for release in May 14th: The Art and Making of The Handmaid’s Tale by the author Andrea Robinson. The book is available for Pre-Order at Amazon. Below are some photos and the full press release. The book looks beautiful and it contains interviews with cast and crew. Also, from the same Publisher, they have these beautiful Hardcover journals and a Deluxe set with note cards, envelopes, pocket journal and more, below are images and they link to the Amazon page where you can purchase. The Handmaid’s Tale—the groundbreaking award-winning show produced by MGM Television and based on Margaret Atwood’s best-selling novel—has drawn rave reviews and attention worldwide. 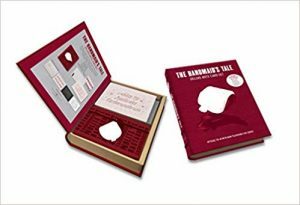 Insight Editions is pleased to announce The Art and Making of The Handmaid’s Tale (May 14, 2019 / $39.95), which details the process of bringing the story to the small screen with forty-five exclusive cast and crew interviews, set photography, concept art, costume design, and more. Delve deep into the show’s dystopia of Gilead as interviews with cast and creators illuminate the inspiration behind the characters, settings, and themes, as well as the story’s parallels to the real-world political climate. 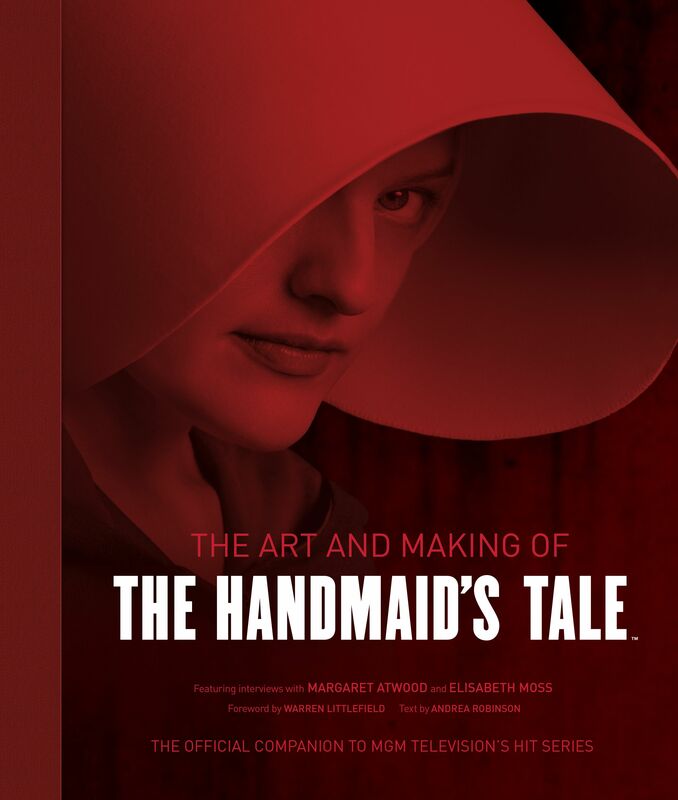 Showcasing striking visuals and insightful commentary, The Art and Making of The Handmaid’s Tale is the definitive exploration of one of television’s most critically acclaimed shows. The third season of The Handmaid’s Tale will air June 5 on Hulu. Andrea Robinson is a New York–based editor and author. She is the author of The Vampire Diaries: Unlocking the Secrets of Mystic Falls and Buffy the Vampire Slayer: The Official Grimoire. Her young-adult novel, Vampire Crush, published under the name A. M. Robinson, was a featured selection of the Scholastic Book Club. Celebrated for its unwavering dedication to quality, Insight Editions is a publisher of innovative books and collectibles that push the boundaries of creativity, design, and production. Through its acclaimed film, television, and gaming program, Insight strives to produce unique books and products that provide new ways to engage with fan-favorite characters and stories. Under this program, Insight has published books covering the worlds of Star Wars, Game of Thrones, The Walking Dead, Destiny, Assassin’s Creed, Halo, Diablo, World of Warcraft, and the Harry Potter films, among many others. Insight’s award-winning art, photography, and sports titles celebrate the artistry and history of a wide range of subjects that include the Rolling Stones, John Lennon, Kurt Cobain, Johnny Cash, the San Francisco Giants, and the Dallas Cowboys. Other divisions include a line of deluxe stationery products, as well as a children’s imprint, Insight Kids. For more information, visit www.insighteditions.com. 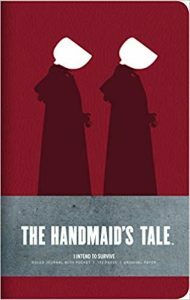 THE HANDMAID’S TALE © 2017 – 2019 MGM Television Entertainment Inc. and Relentless Productions, LLC. THE HANDMAID’S TALE is a trademark of Metro Goldwyn Mayer Studios Inc. © 2019 Metro Goldwyn Mayer Studios Inc. All Rights Reserved.